Which shaft is best for me? Every player has a unique swing, and in order to optimize their distance and control, each individual needs a unique set of performance characteristics from the shaft and club head they play. To find out which club head and shaft combination will work best for you, we always recommend visiting an authorized dealer for an fitting. 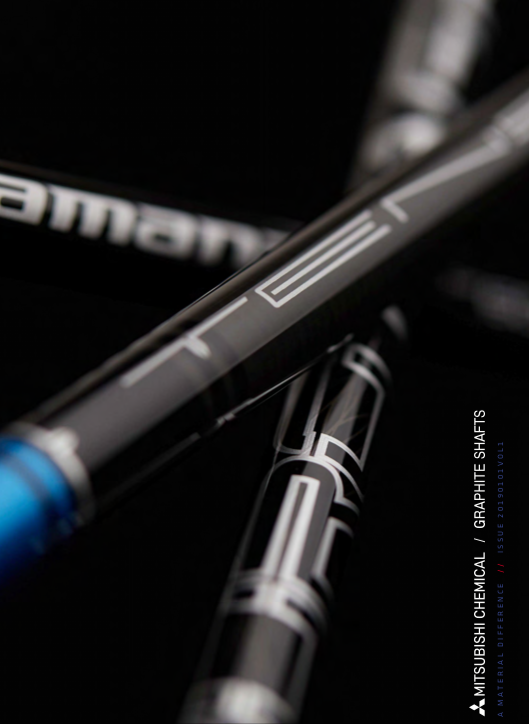 What are the differences between Diamana™, TENSEI™, KURO KAGE™, FUBUKI™ and BASSARA™ shafts? Each brand offers different EI curve bend profiles, technologies, and materials. All of which can impact how the shafts perform and feel. How can I tell if a shaft is counterfeit? The only way to guarantee you are purchasing an authentic Mitsubishi Chemical Graphite Shaft is to purchase it directly through an authorized dealer. A list of our dealers can be found by visiting our dealer locator. Can I purchase a shaft directly from MCA GOLF, INC.? Unfortunately MCA GOLF, INC. does not sell directly to consumers, but our shafts can be ordered and installed by any of our authorized dealers. Please visit our dealer locator or call us at (760) 929-0001 and we can help steer you in the right direction on whom to contact. How much should I have my shaft tip trimmed? Our standard tip trimming instructions can be found on each items product page. If you are looking to fine tune your shafts performance we recommend visiting an authorized dealer for a fitting to determine if you need any additional tip trimming. We don't recommend purchasing already installed shafts (i.e. shaft pulls) and then re-trimming and installing them again for use. What flex should I play? We offer a flex recommendation on each items product page, but there are multiple factors outside of club head speed that can impact which flex a player should play. Our recommendation is that you not try and fit yourself, but to visit an authorized dealer for a fitting and their recommendation. There are factors outside of just your swing speed that help determine which shaft and flex is best for you. What is the difference between an X-flex and TX-flex shaft? There can be slight differences in the materials and/or tip frequency used between the X and TX flexes that make the TX flexes slightly more stable (and firm) than the standard X flexes. What is the difference between the different generations of product? The different generations offer similar EI profiles, but with slight modifications, and are sometimes adapting and responding to the many changes in modern club head design and technologies (e.g. low spin golf club heads, center of gravity (CG) placement, etc). Shafts also differ from one generation to the next based on the materials used in their constructions (e.g. tonnage of carbon fiber used and MCA technologies). Where can I try your shafts? Many of our authorized dealers carry demos shafts for you to try. To find the closest authorized dealer near you please visit our dealer locator. We would recommend calling them first to make sure they have the shafts available that you want to try. Feel free to also call us at MCA GOLF at (760) 929-0001 and we can help steer you in the right direction, and to the account that may have the most demo shafts available. I have a custom fitting golf business. How do I become an Authorized Mitsubishi Chemical Graphite Shaft Dealer? Please contact us at (760) 929-0001 or email us at sales@mca-golf.com, and let us know you are interested in becoming a dealer/account. We will gather a few key details and send an application out to you to complete. The Mitsubishi Chemical shaft that came with my club does not look like any shaft you have on your website. What is the difference? We occasionally develop custom shaft cosmetics designed specifically for a golf equipment manufacturer. While the cosmetics may be specific to a golf equipment manufacturer, the underlying structure remains a premium, high-performance shaft designed, developed and manufactured by Mitsubishi Chemical. Visit the Our Partners section of our website to find the specific manufacturer/model of the club in question.